A 65-year-old woman who suffered a head injury when a television struck her during last month's earthquake in California's wine country has died - the first death attributed to the magnitude-6.0 temblor that caused extensive damage in the Napa Valley and the nearby city of Vallejo. Thompson's relatives persuaded her to go to the hospital and she was transported by ambulance to Queen of the Valley Medical Center. 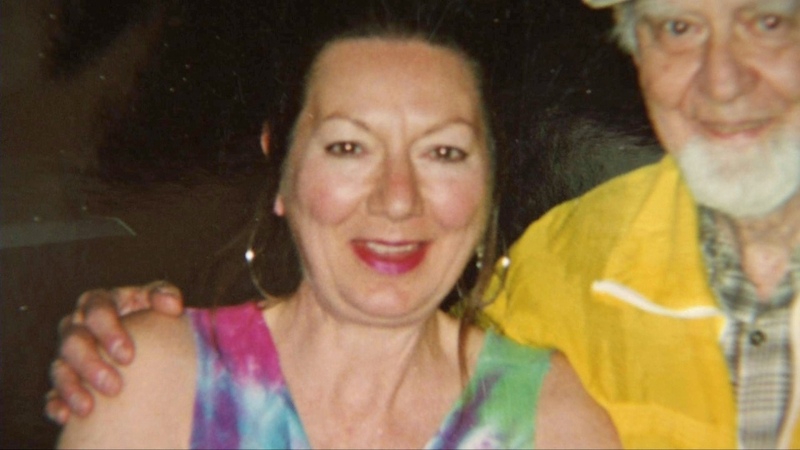 "Her condition continued to deteriorate over time and, unfortunately, she passed away," Sheriff's Capt. Doug Pike said. "Our hearts go out to the Thompson family and any other families who have suffered as a result of the earthquake." Sheriff's officials say she died at 9:35 a.m. Friday of an intracranial hemorrhage due to the injury. Her children, Aaron Thompson and Shannon Johnson, said they hope that their mother's death inspires people to check out any type of head injury, even if it appears insignificant. But the next day, her mom collapsed in the shower. Johnson said the doctors weren’t able to tell her whether it would have made a difference if her mother had come in the day of the earthquake instead of waiting. The earthquake did not claim any other lives, but left 209 people injured, though most of them were released from the hospital the following day. The most common injuries were from household items falling off of walls or shelves onto people or from those who stepped on debris in their homes. One of the most severely injured was 13-year-old Nicholas Dillon, who broke his pelvis in several places when part of a chimney collapsed on him. The boy is expected to recover, and he was well enough to give interviews a few days after the accident. The quake jolted the Bay Area at 3:20 a.m. on a Sunday, sparking fires, damaging buildings, injuring scores, knocking out power to tens of thousands and sending residents running out of their homes in the darkness. The worst damage and disruption was confined to downtown Napa, where a post office, library and a 141-room hotel were among 150 homes and buildings deemed unsafe to occupy. The earthquake is the largest to shake the Bay Area since the 6.9-magnitude Loma Prieta quake in 1989, the USGS said. The county's famed wineries also suffered damage, with oak wine barrels weighing more than a quarter-ton and stacked high cascading down. A survey commissioned by the Napa Valley Vintners Association and Napa County and presented to the county on Tuesday estimated that 60 percent of Napa wineries suffered some damage, with as much as 25 percent suffering moderate to severe damage exceeding $50,000 per winery. The most devastated winery suffered $8 million in damage, according to the survey by Silicon Valley Bank's Wine Division. The winery is not identified. The wine business and associated tourist crowds represent the bulk of Napa County's economy. Visit Napa Valley estimates that 3 million tourists spend $1.4 billion a year within the county. The Napa Valley Vintners trade association says the industry generates more than $13 billion of economic activity each year, including 46,000 local jobs. 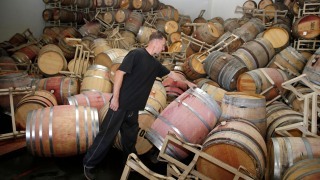 Silicon Valley Bank estimated the damage to the county's wine industry at between $70 million and $100 million. Napa County has estimated overall damage from the quake at more than $400 million. 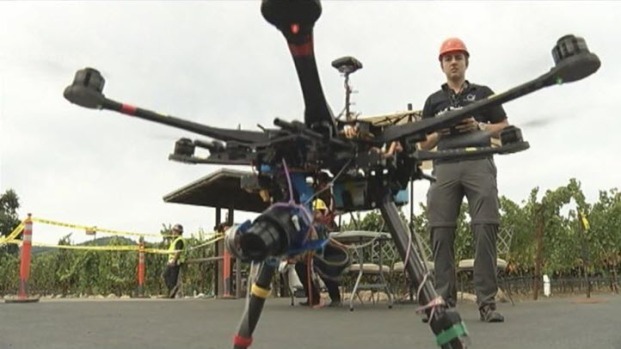 Researchers from UC San Diego's structural engineering department are using drones to capture unique views of the earthquake damage to Napa's historic landmarks. Jodi Hernandez reports.